DJ Black Coffee is the best deep house deejay in the world for the third year in a row. South African DJ, Black Coffee, has been awarded the 'Best Deep House DJ' award at the 2018 international DJ Awards held in Ibiza, Spain this week. It's the third time in a row he has won in the category. The 'Pieces of Me' hitmaker was nominated alongside &Me, AndHim, Bedouin, Blond:ish, Damian Lazarus, Maya Jane Coles, Oliver Koletzki and Rampa. Black Coffee says he is "honoured" to have won the award. "Honoured to be named the Best Deep House DJ for the third year in a row at the DJ Awards. It wouldn’t be possible without your love and support! It means the world," he wrote on Instagram. 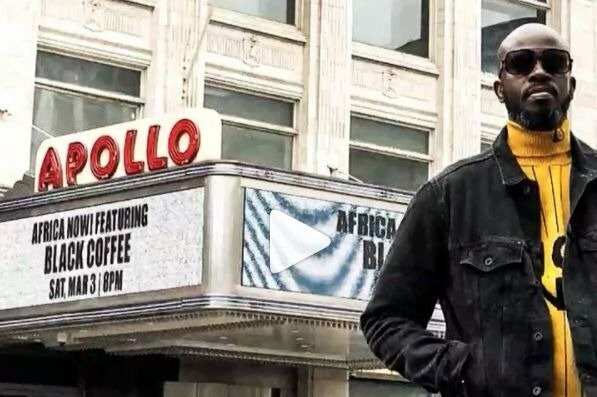 Black Coffee remains one of the most in-demand DJs in the world. His appearance at the 2018 Coachella Music Festival was highly praised by music lovers. The DJ paid tribute to Avicii during his set. Black Coffee also wowed partygoers at his first every residency in Vegas earlier this year. He also returned to his Hï Ibiza residency in 2018 for the second year in a row.